Personnel from the Higher Education Ministry (MoHE) will be going "undercover" to curb abuse of 1Malaysia Book Vouchers (BB1M). 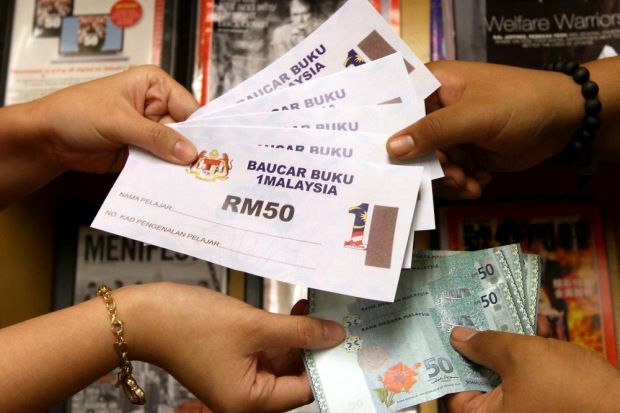 In a statement, the ministry said it would continue monitoring the situation by going undercover and come down hard on shop owners and students caught flouting the rules for the usage of BB1M vouchers. It said information gathered would be used to carry out further investigations before deciding if a shop owner or student would be blacklisted. "The ministry will not hesitate to take stern action," it said. So far, four shop owners have been blacklisted for misusing BB1M vouchers. MoHE also urges the public to come forward with any information that would help the investigation and enforcement of this matter. Last week, The Star broke a story on how certain bookshops were buying vouchers from students below its face value, with some paying RM190 for vouchers worth RM250. The scam also involves students who act as middlemen between sellers and bookstores.